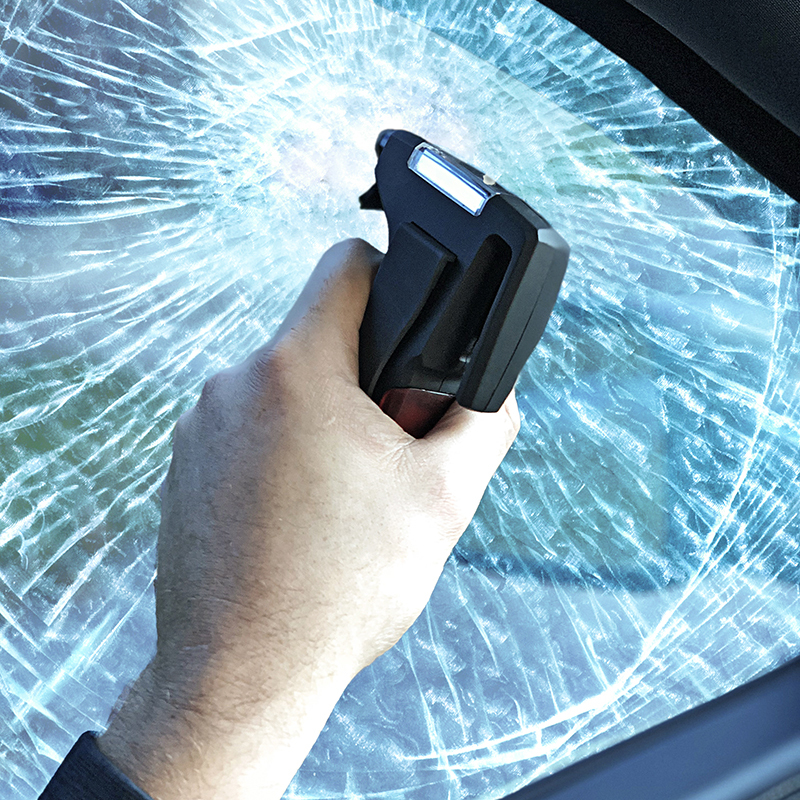 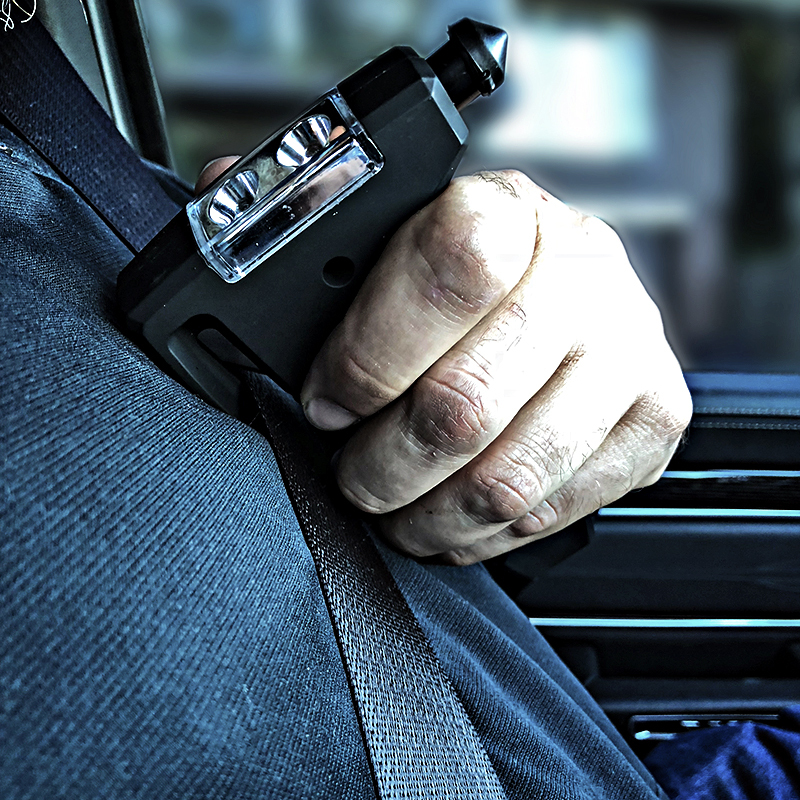 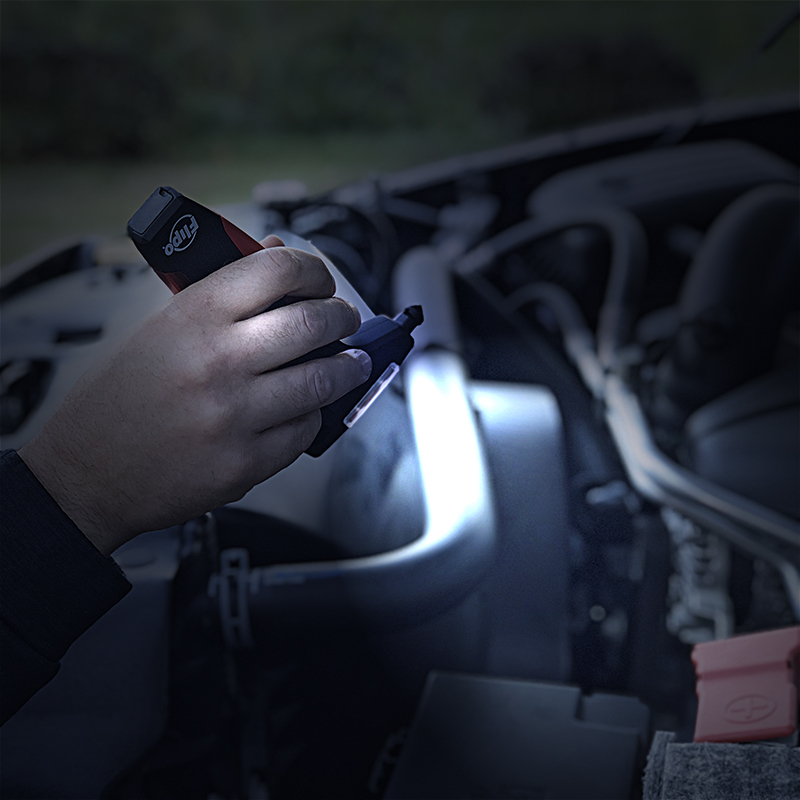 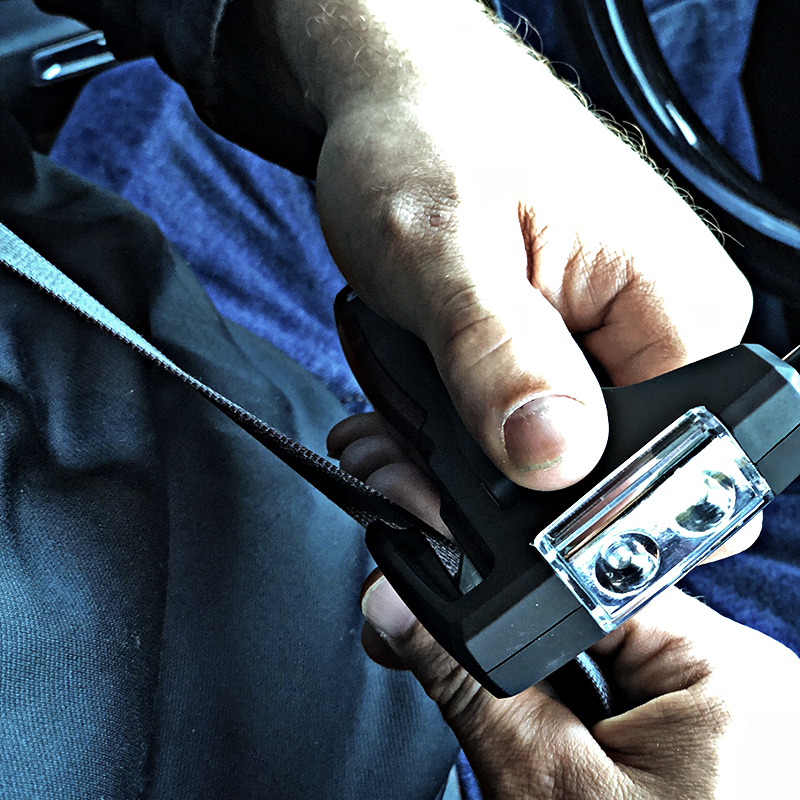 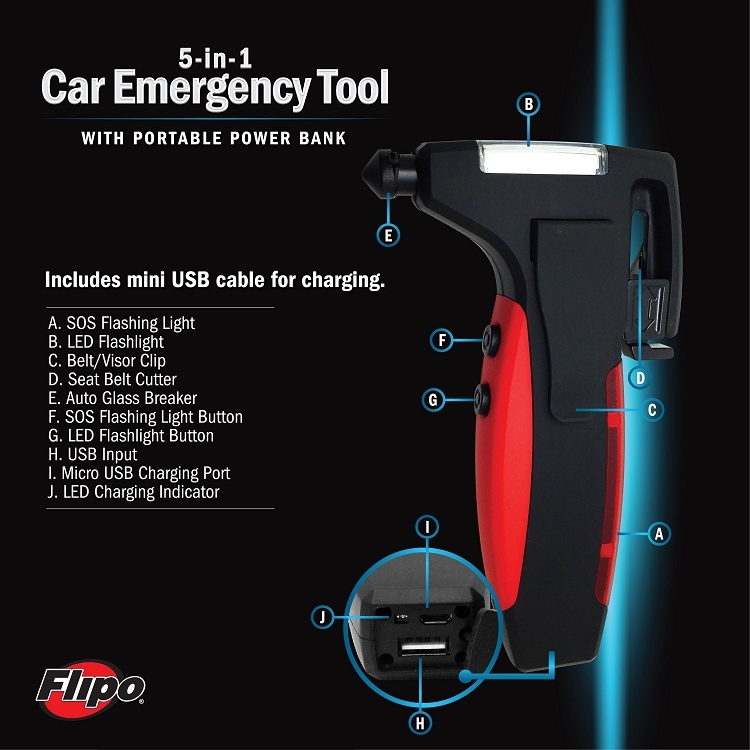 Flipo's NEW 5-in-1 Emergency Car Tool is the all-in-one tool for most automotive needs! 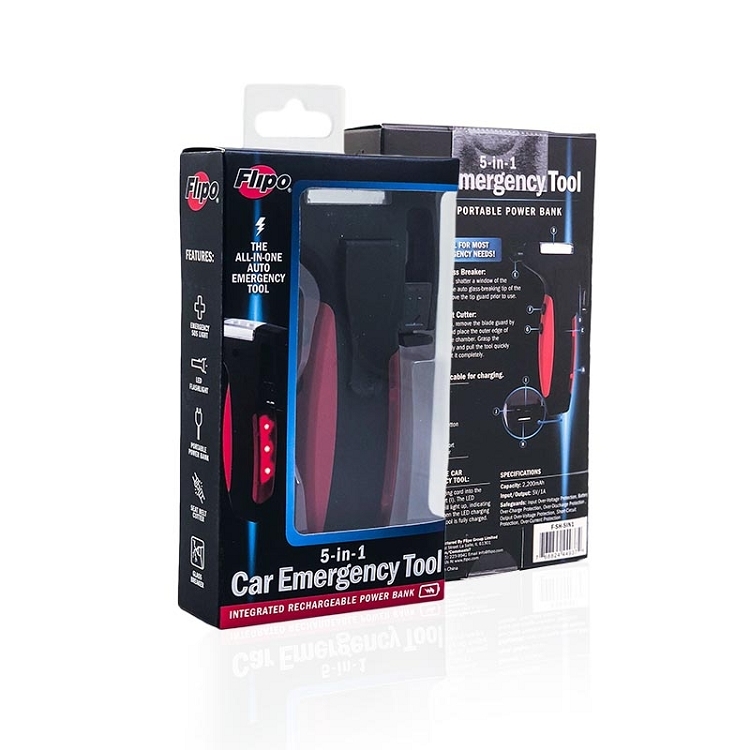 The Emergency Car Tool Features a red S.O.S. 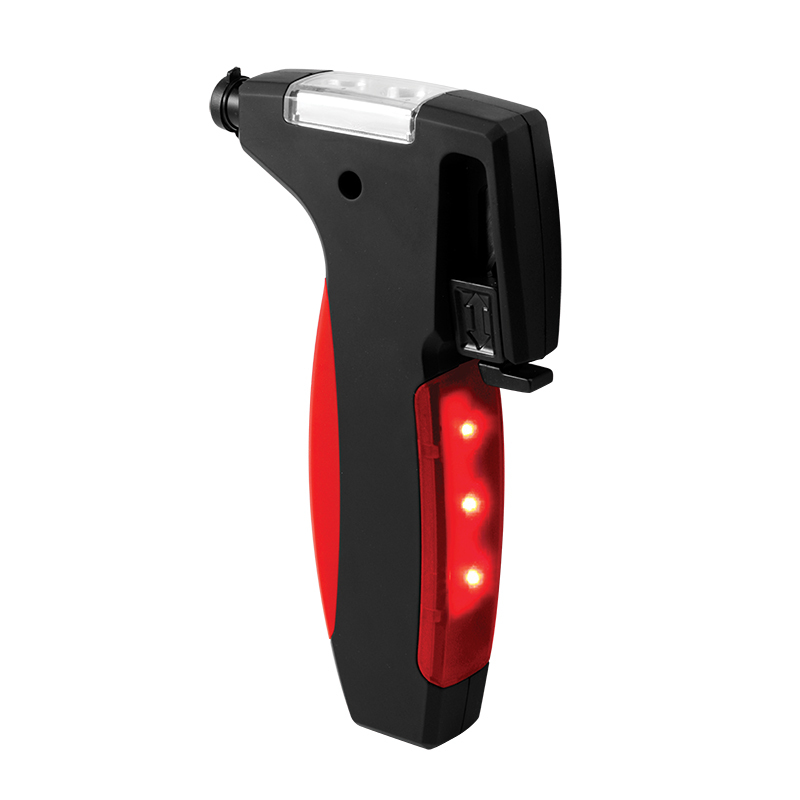 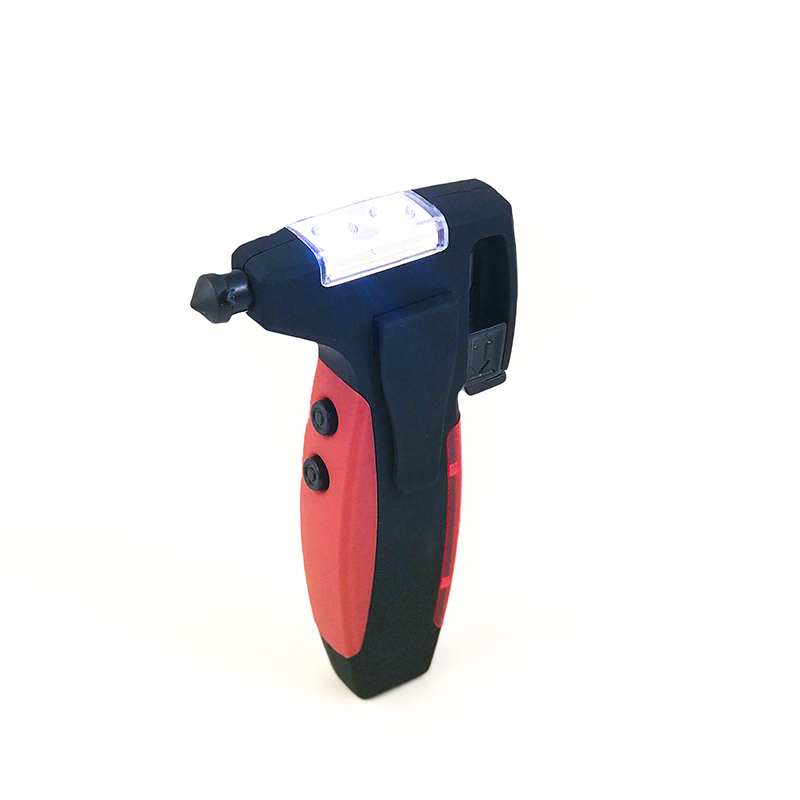 light, LED flashlight, portable power bank, seat-belt cutter, and glass breaker. 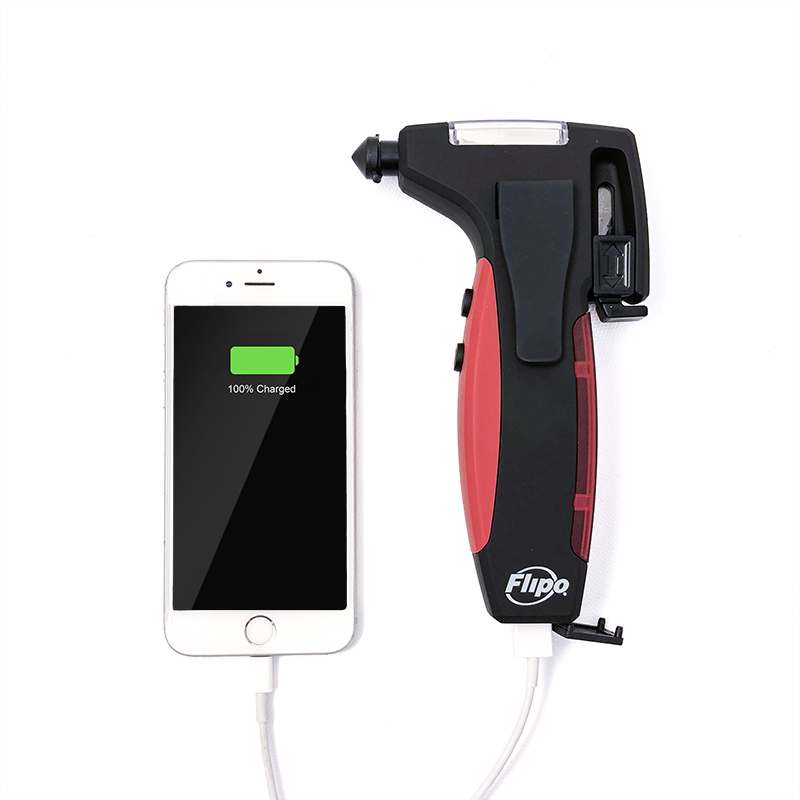 Integrated rechargeable power bank with 2,200 mAh capacity and 5V input. 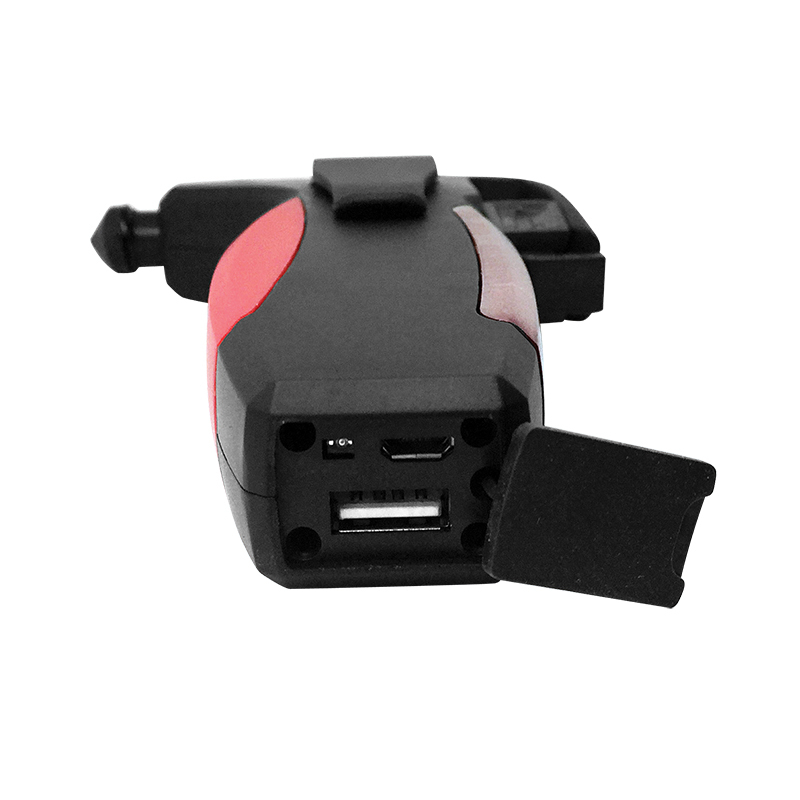 Mini USB cable included for charging mobile devices.